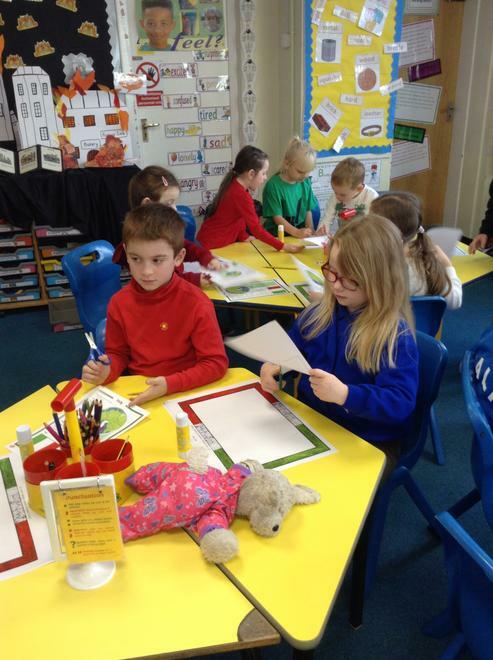 on a Friday for the spelling test! 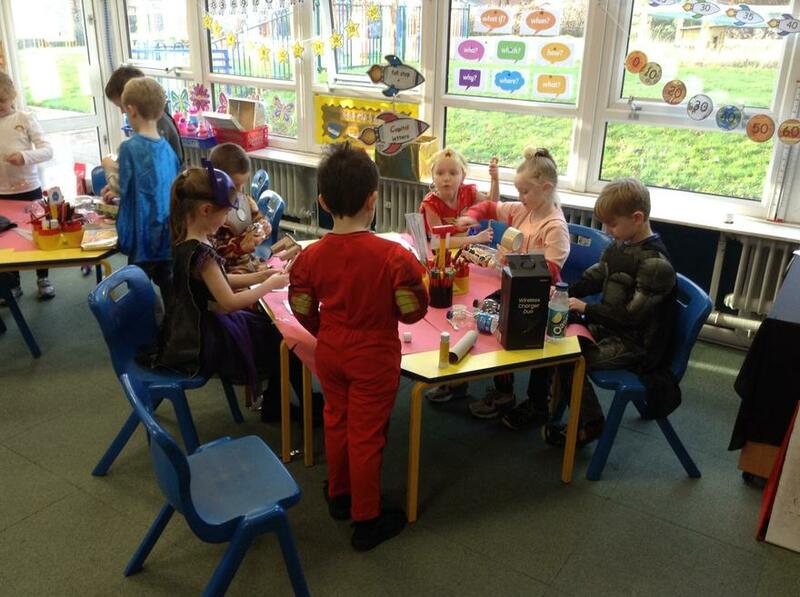 Your child needs to bring a water bottle to school every day. 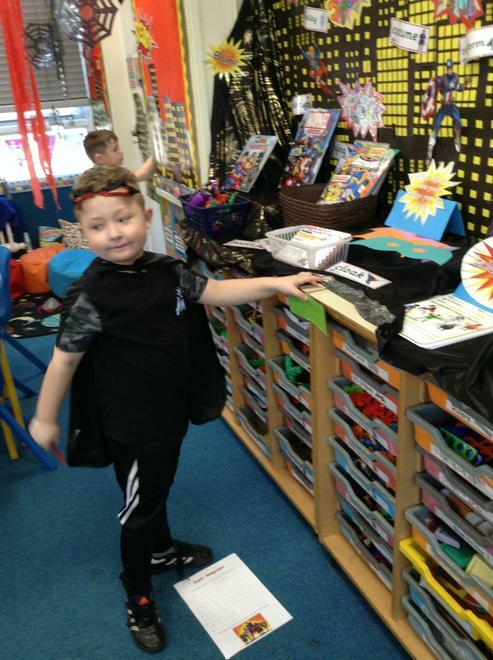 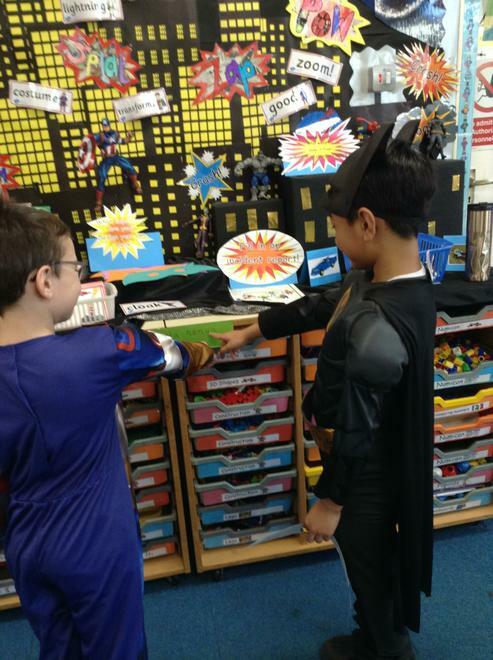 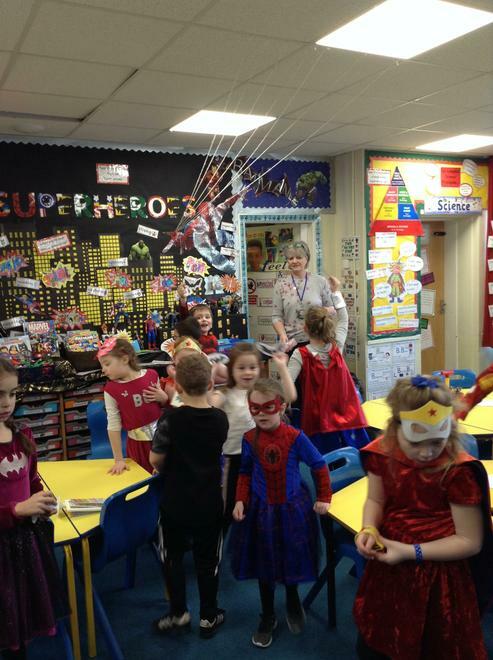 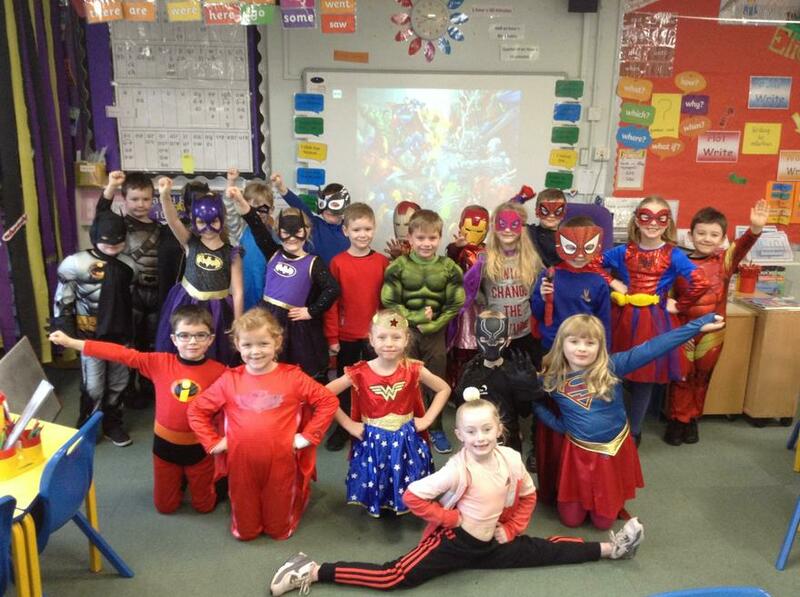 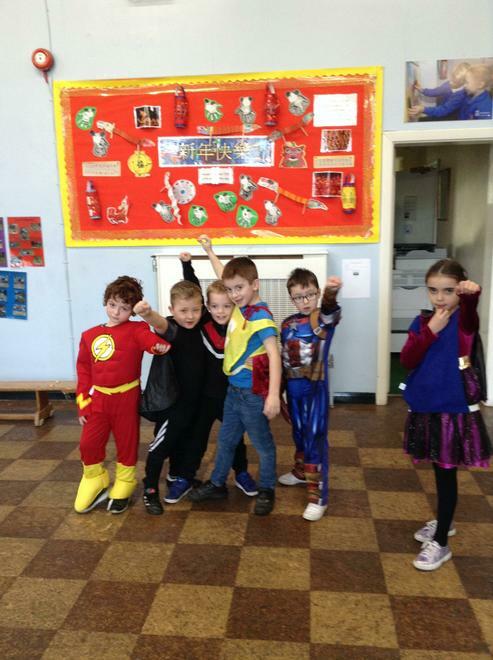 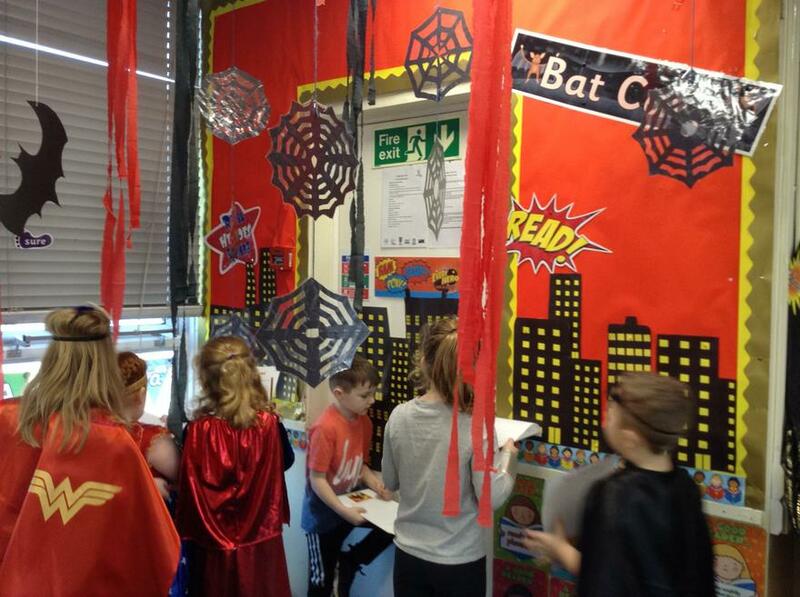 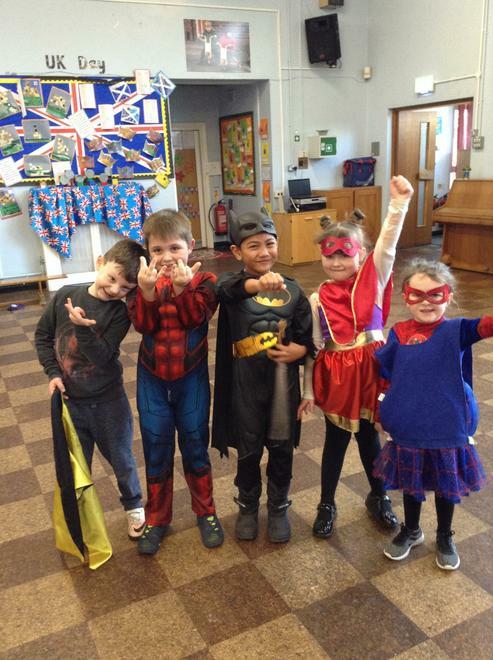 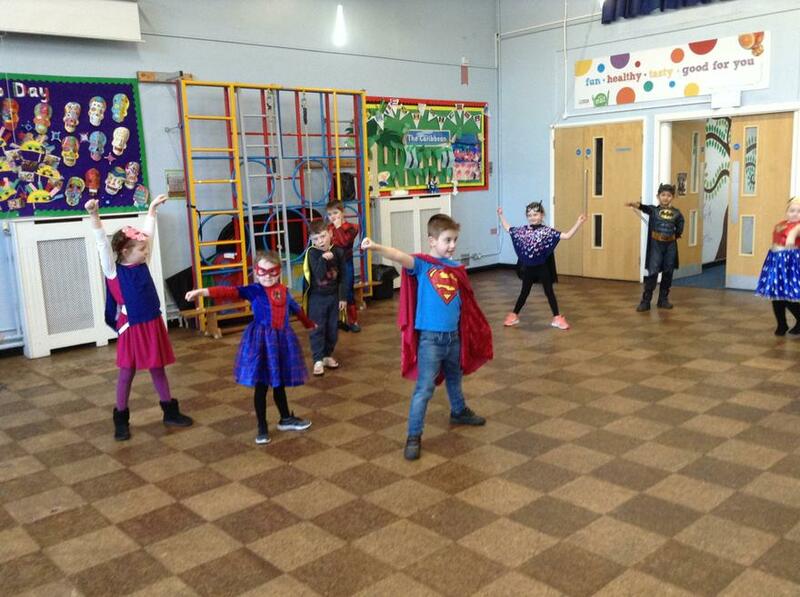 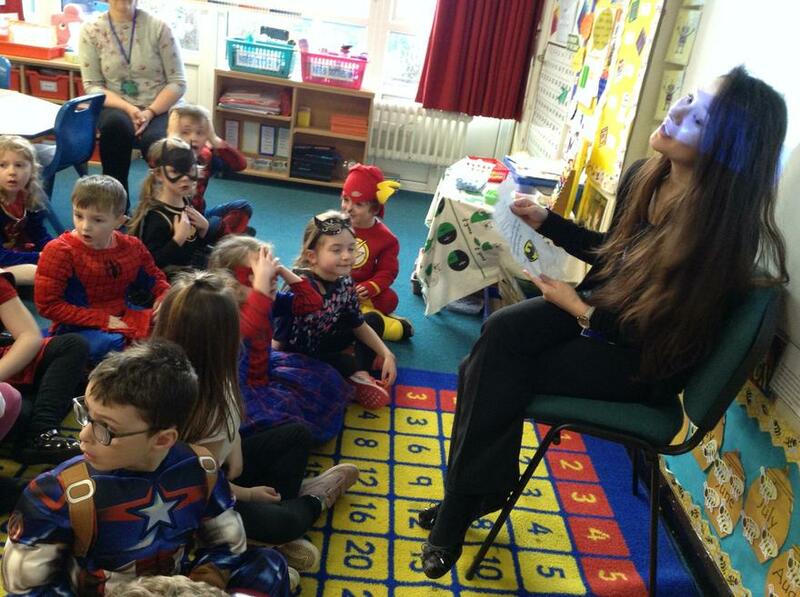 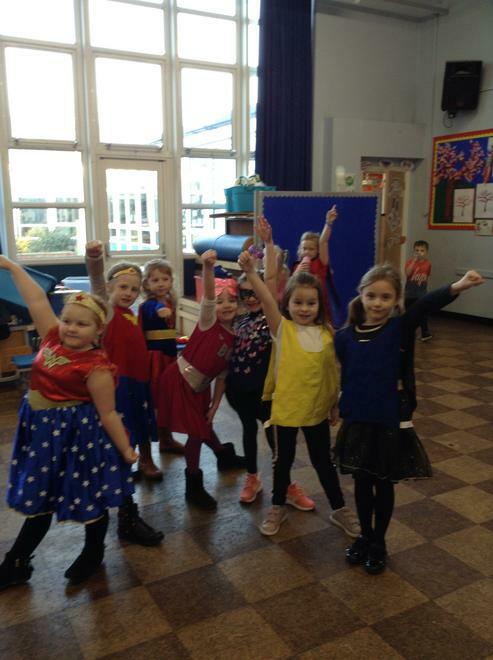 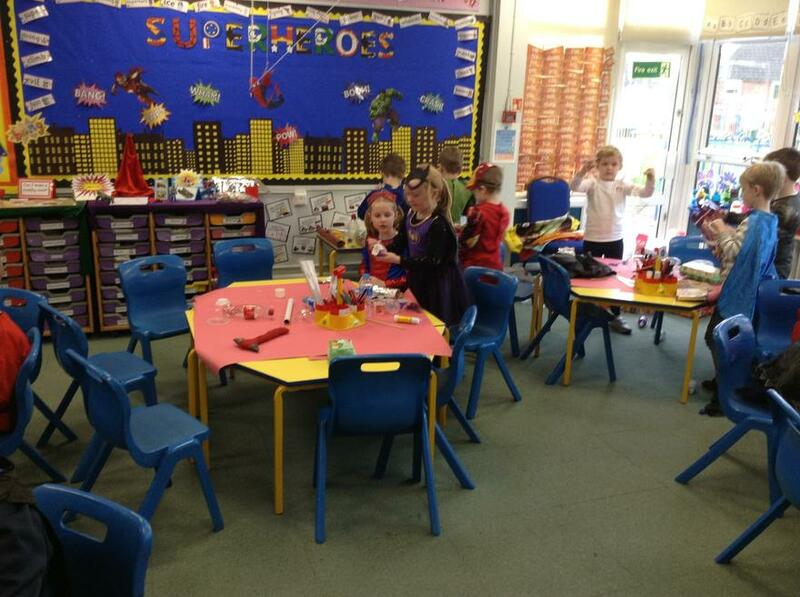 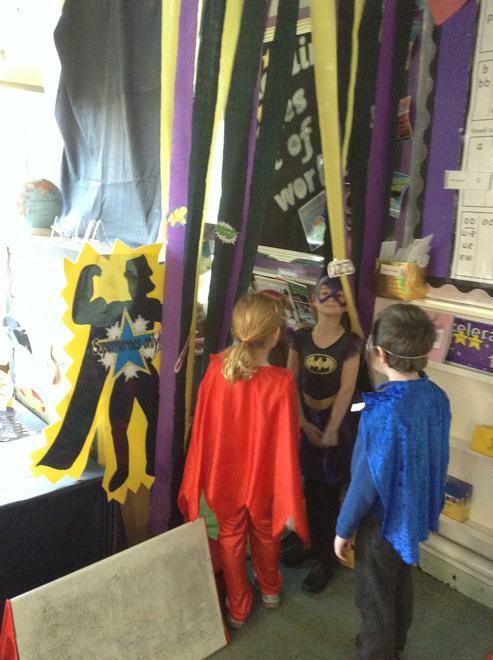 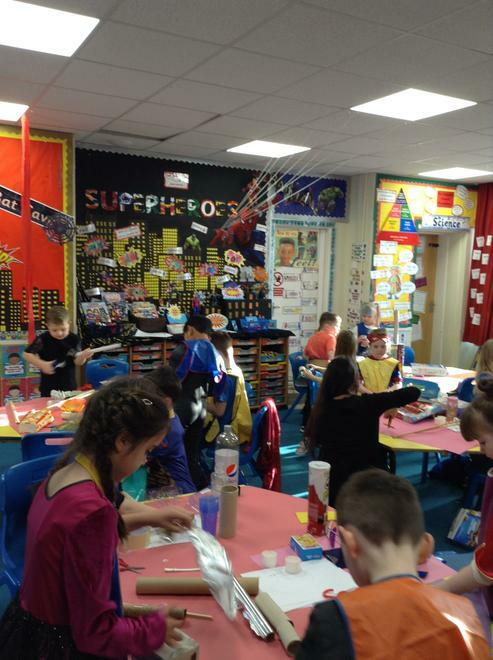 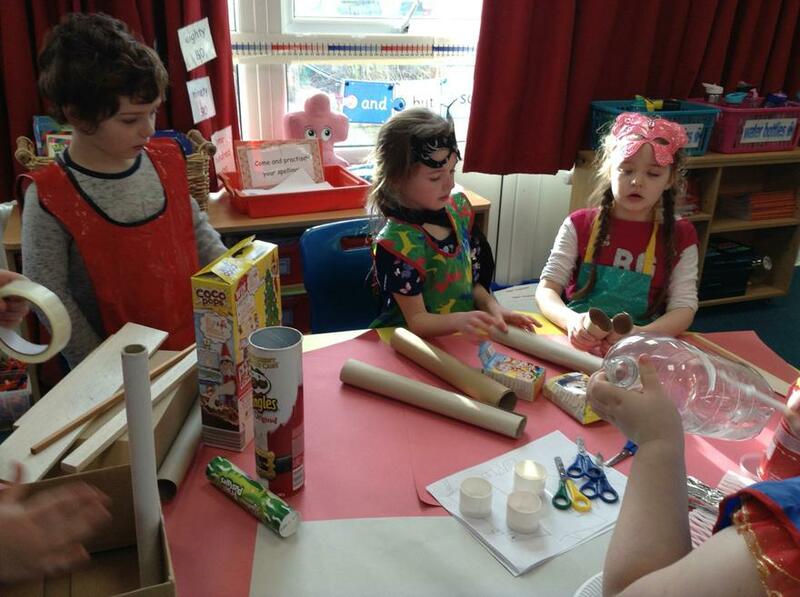 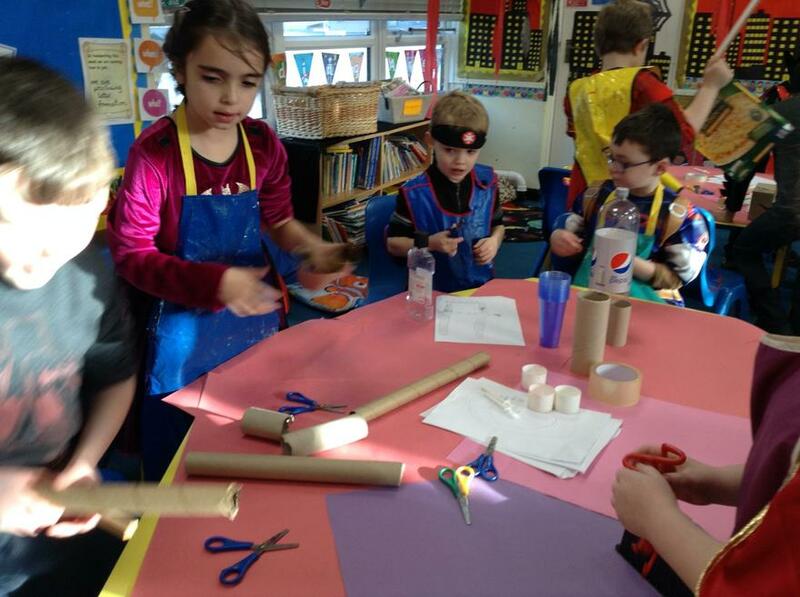 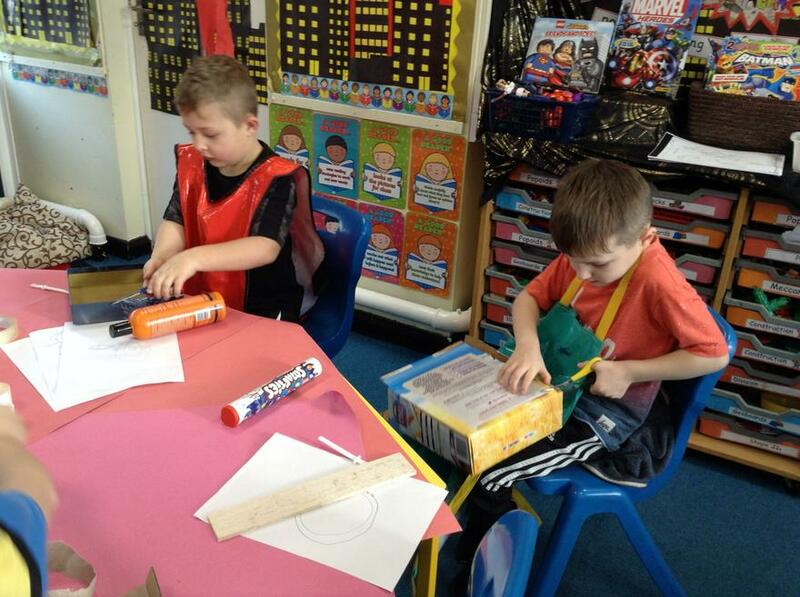 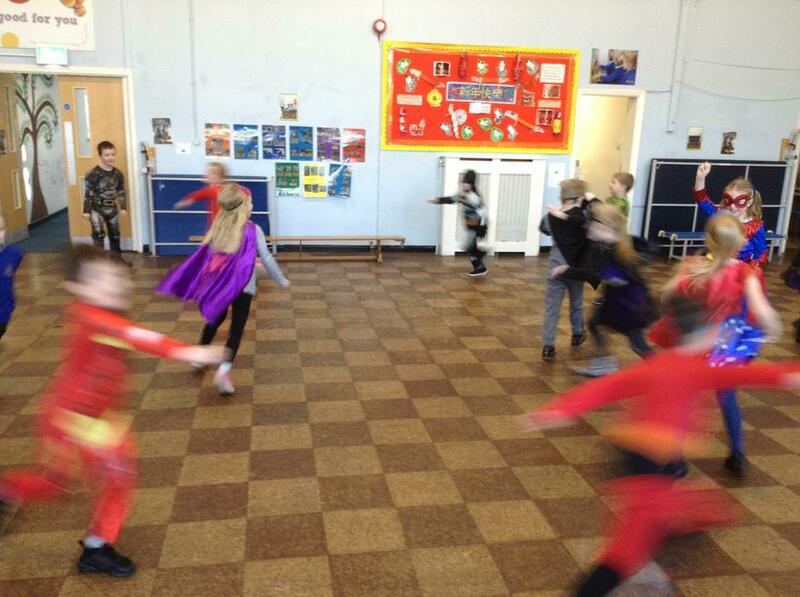 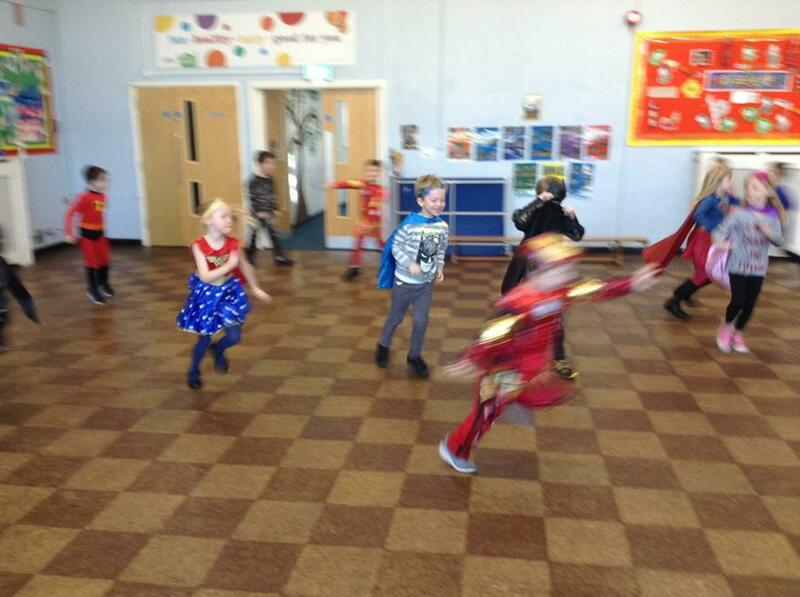 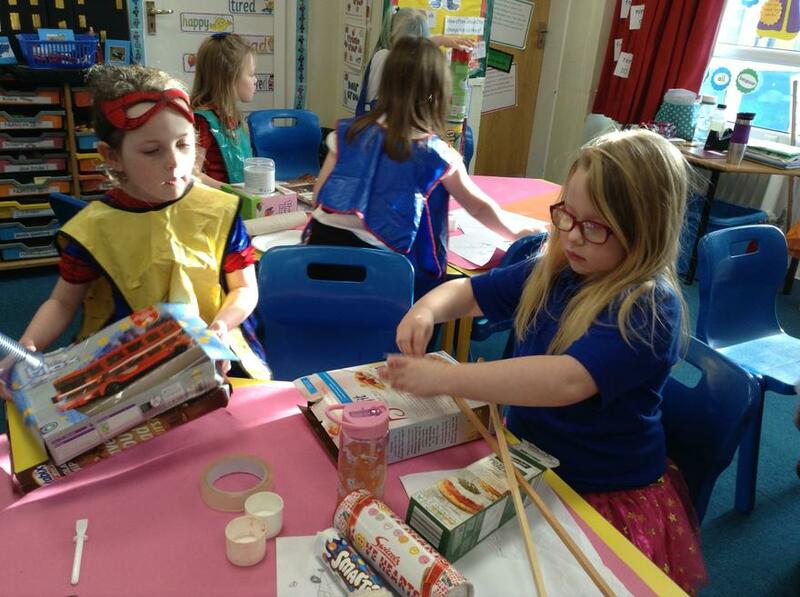 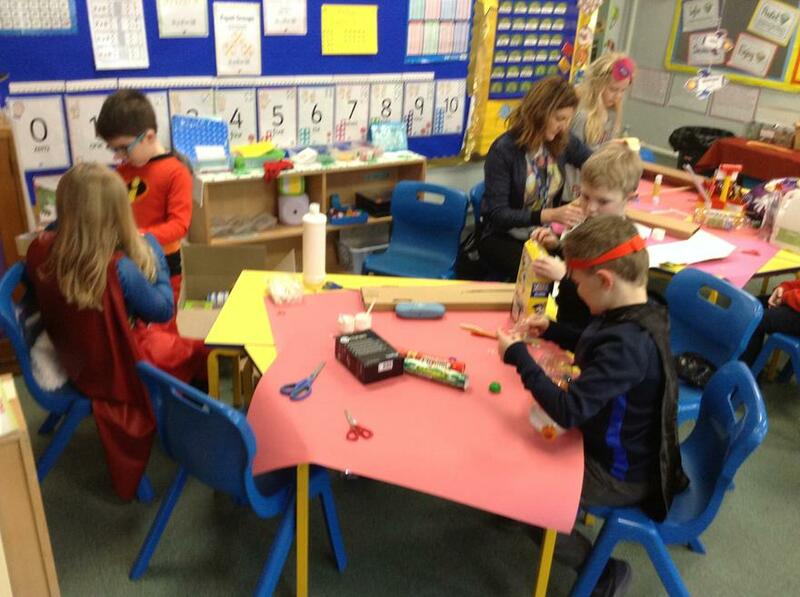 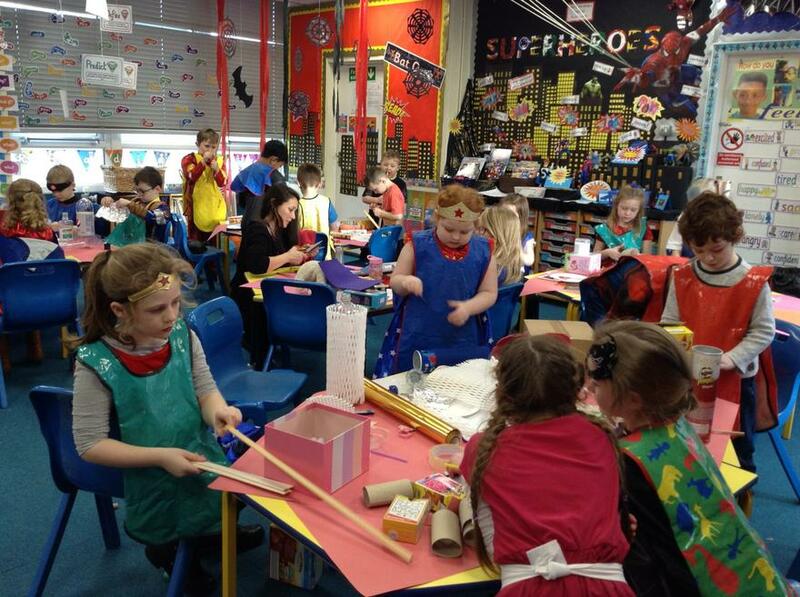 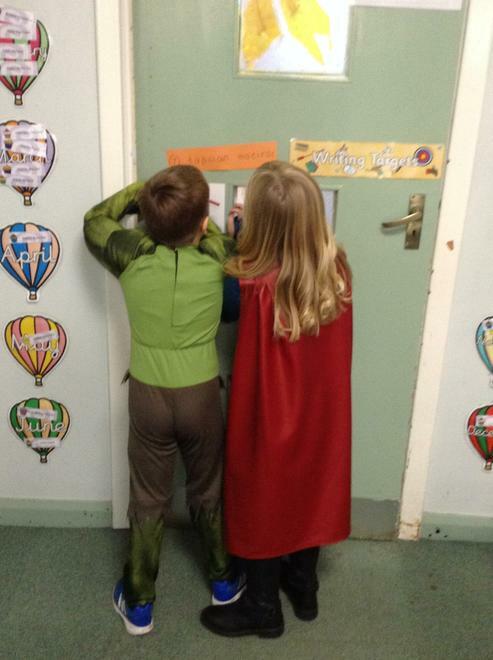 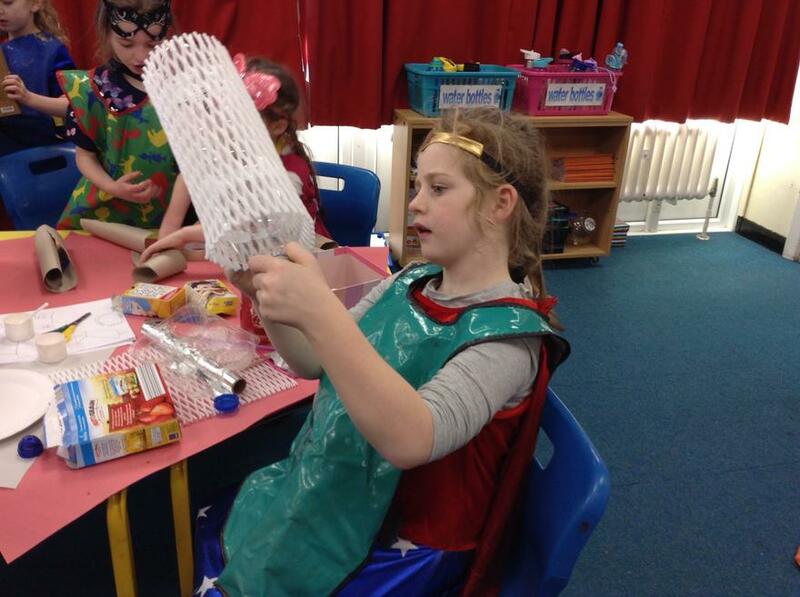 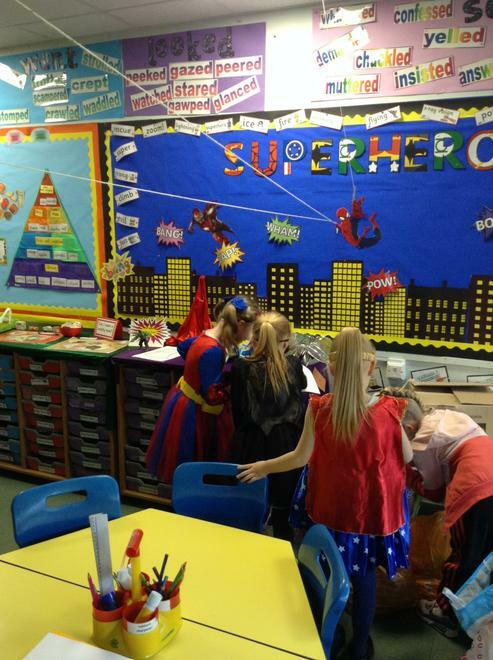 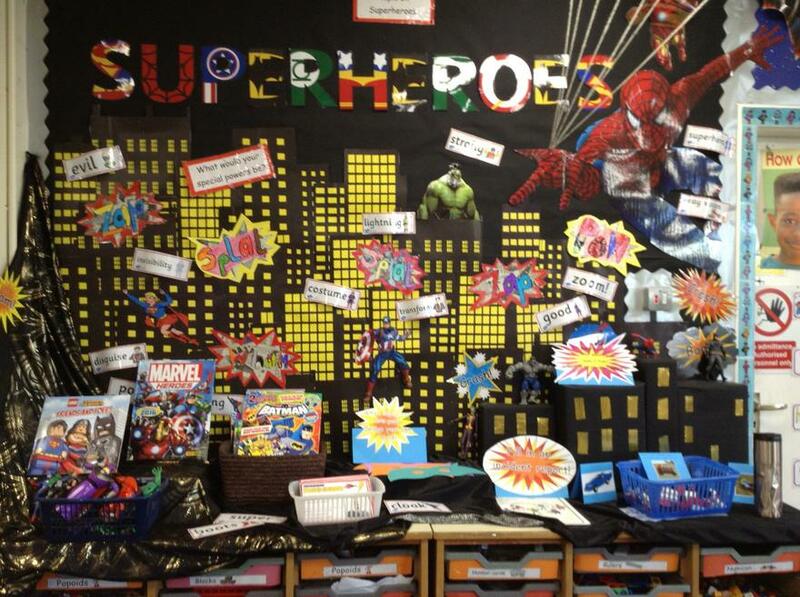 To start off our Superheroes topic with a bang, we dressed up for the day, played superheroes games and made superhero gadgets! 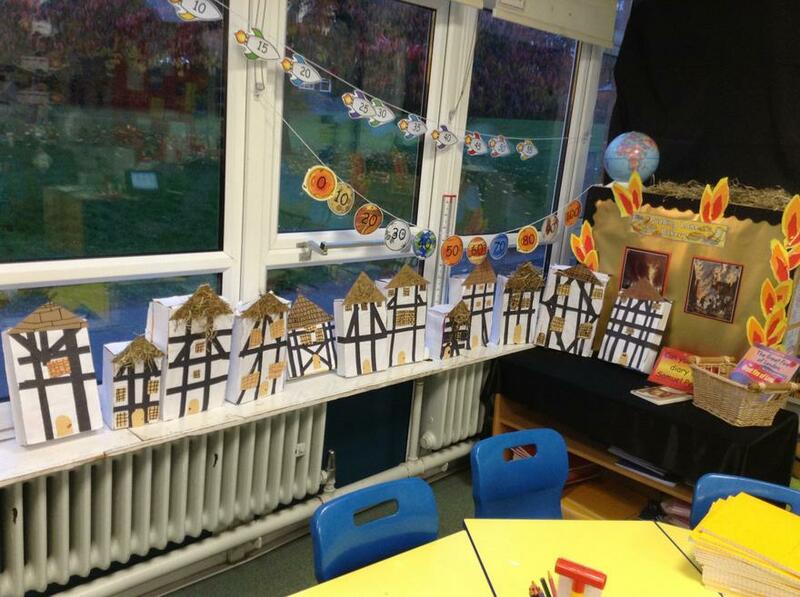 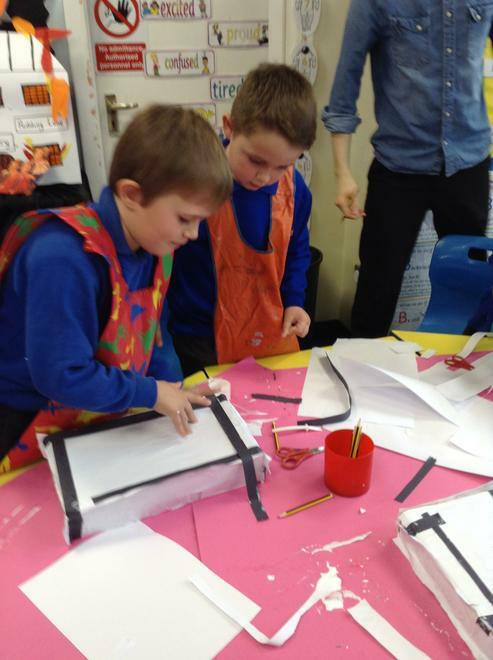 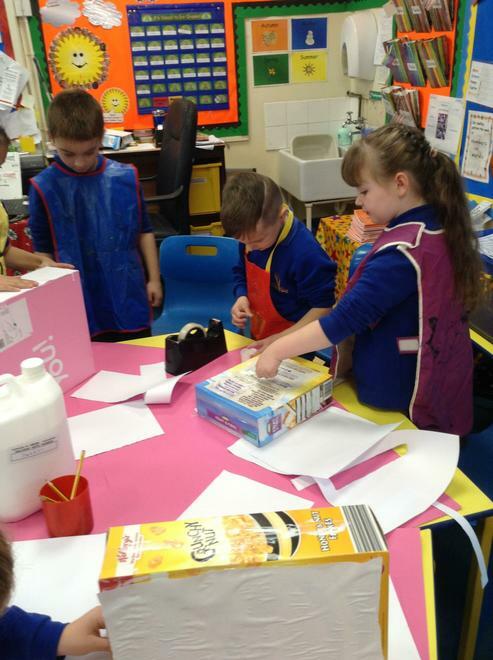 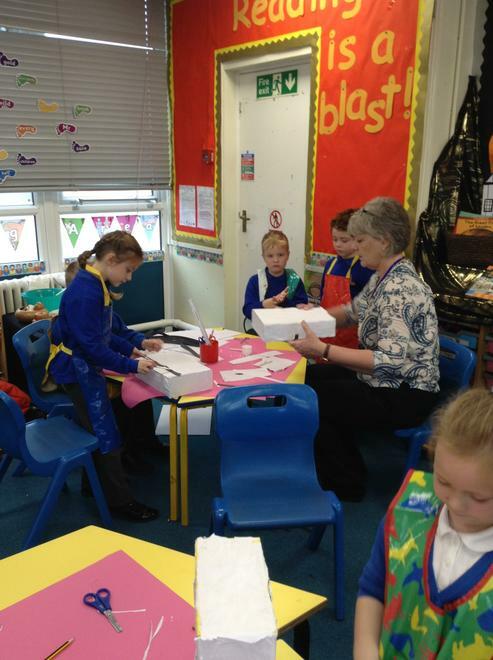 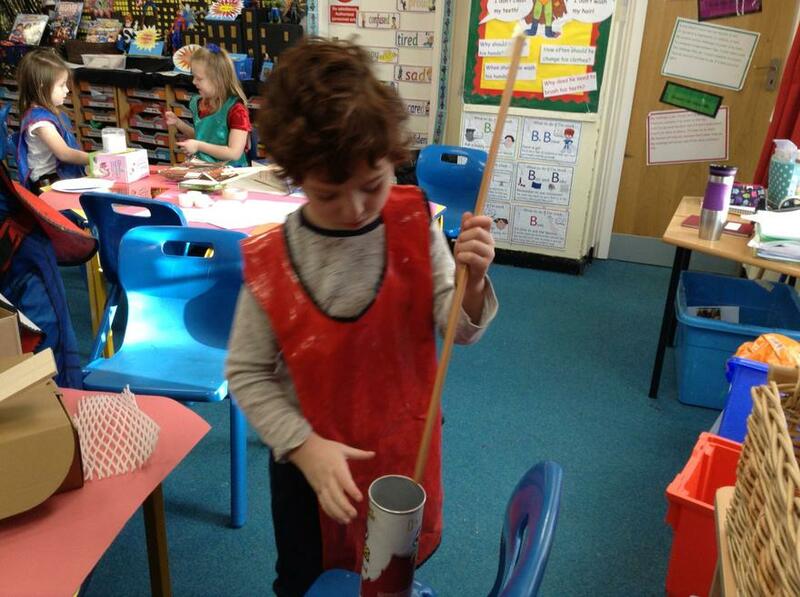 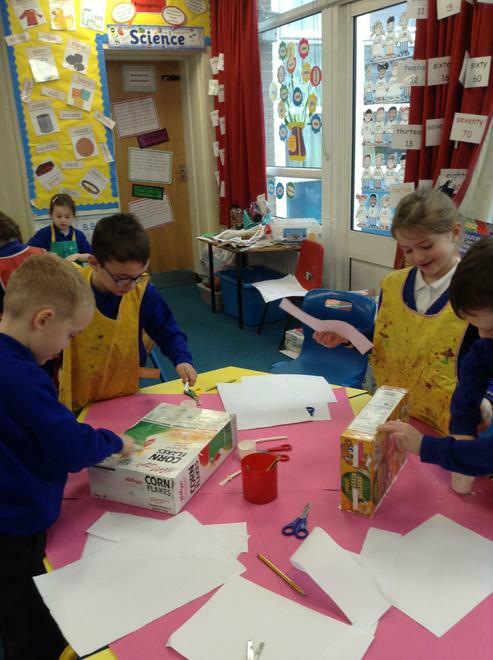 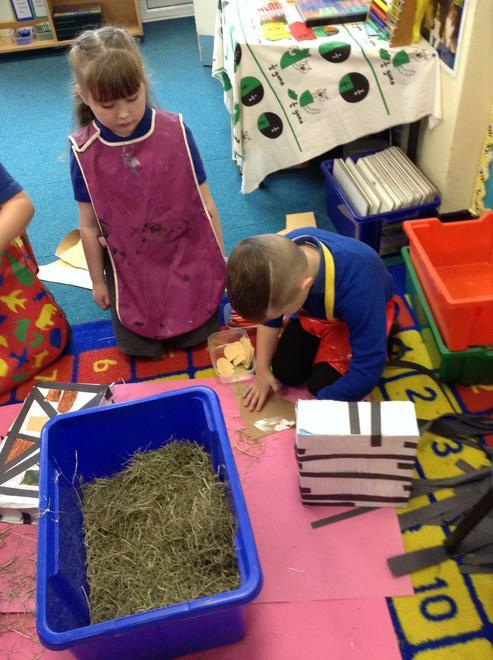 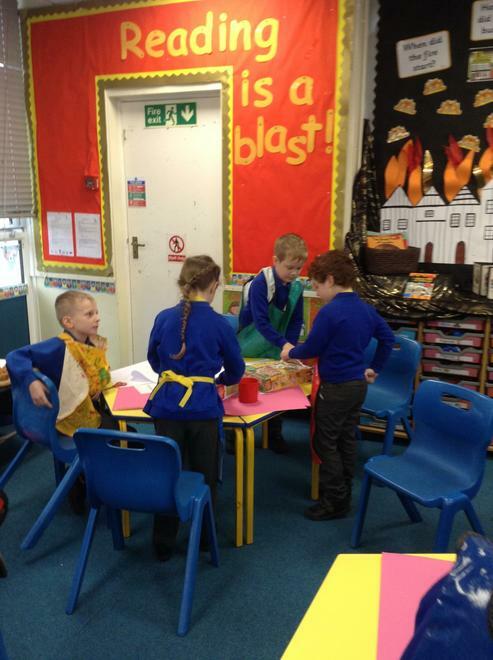 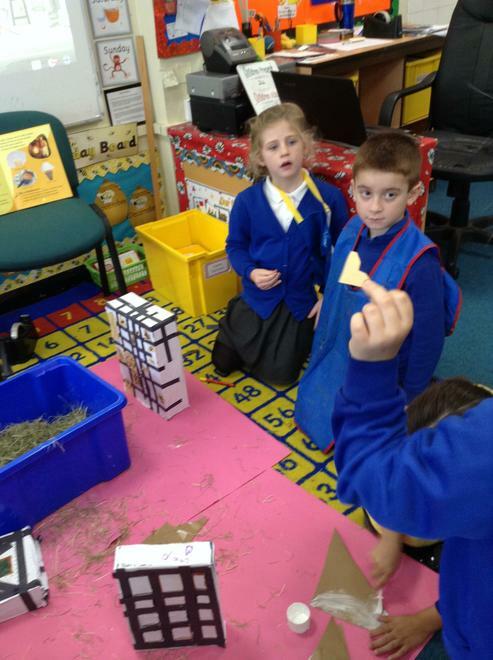 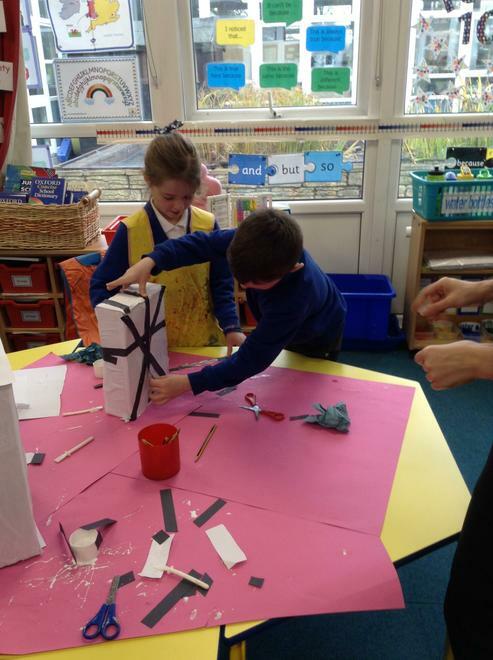 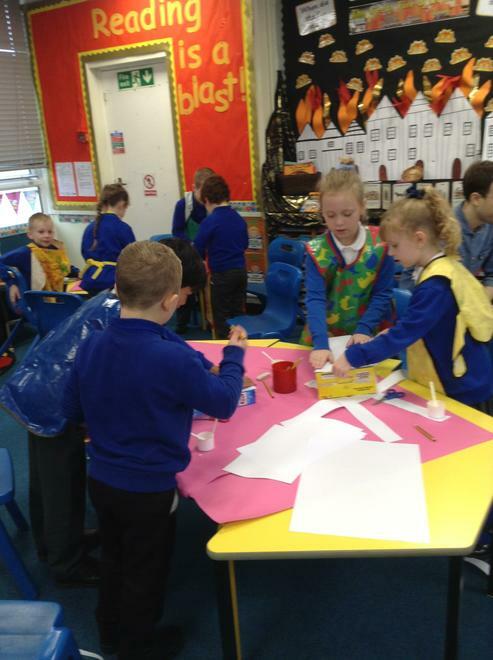 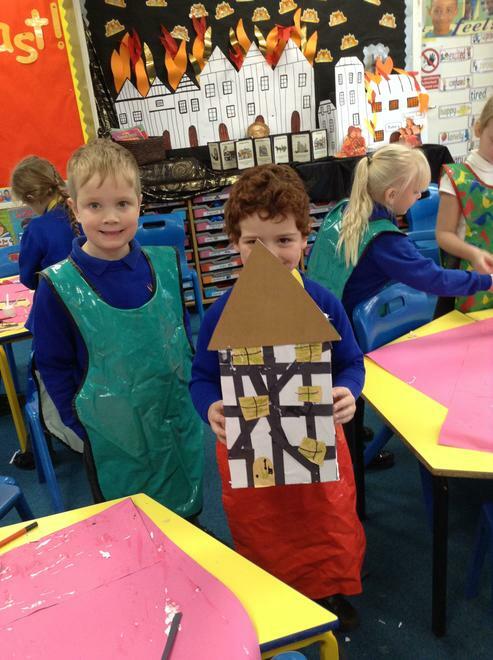 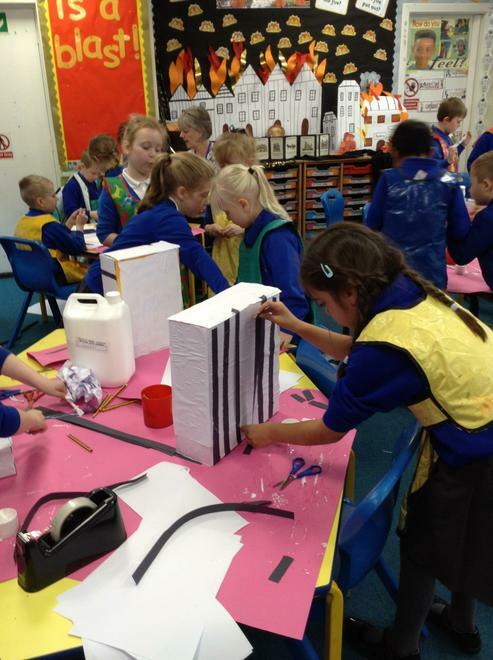 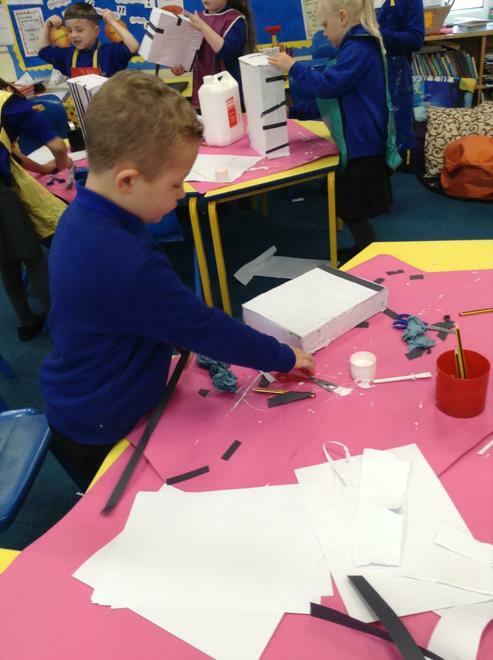 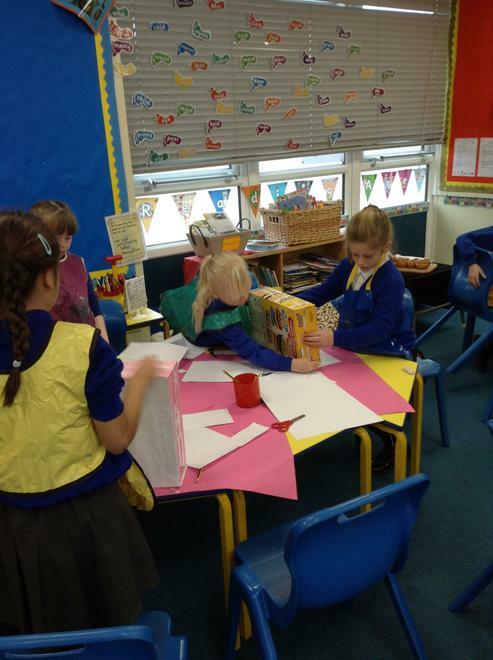 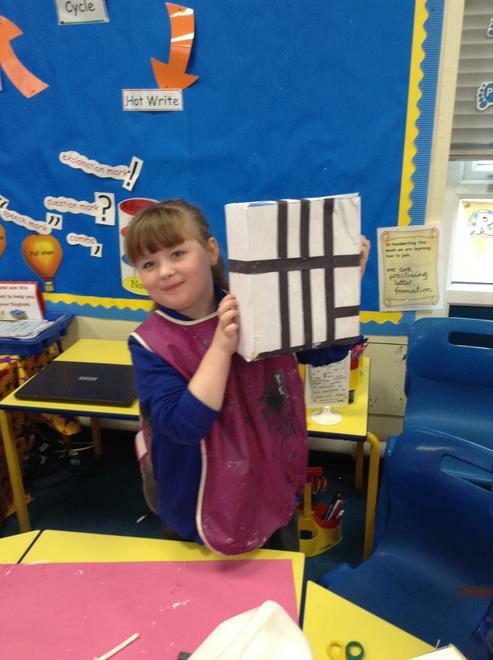 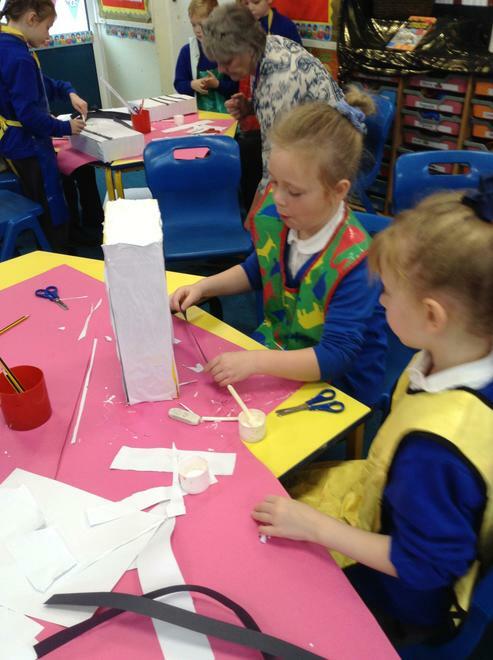 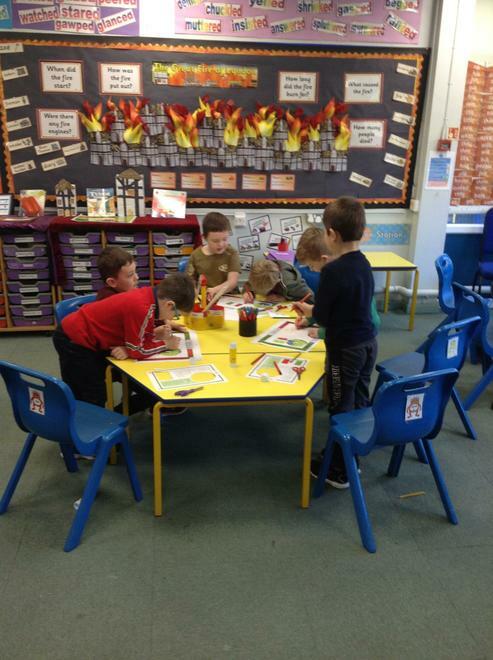 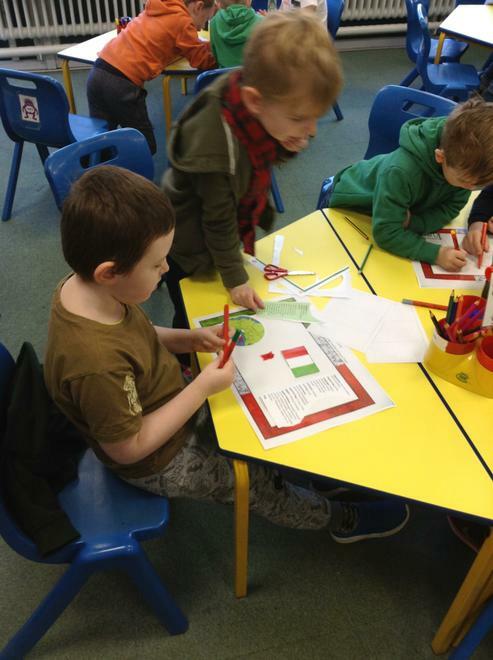 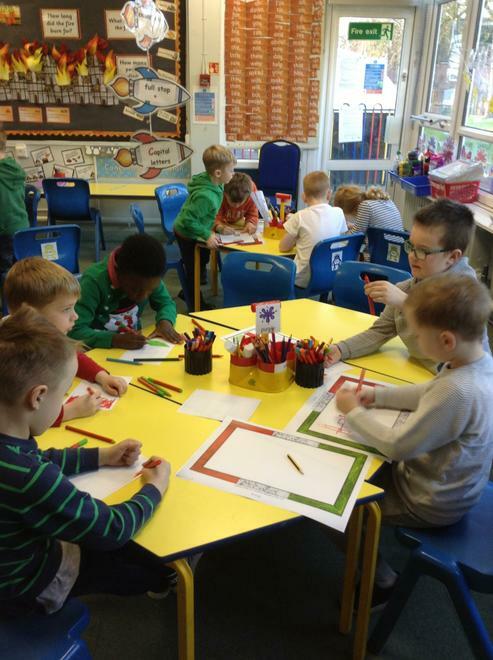 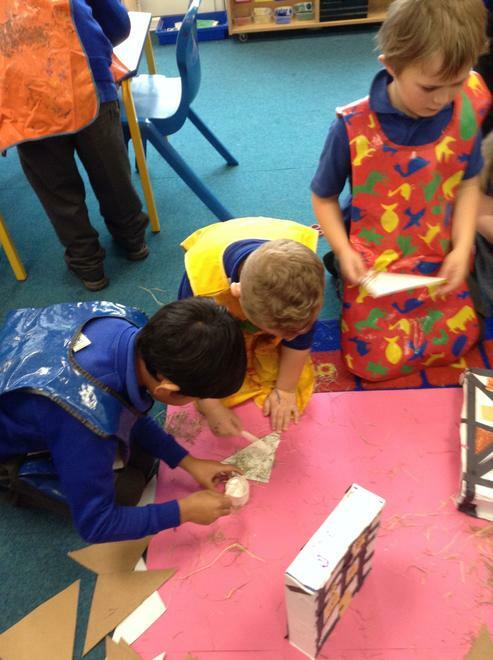 We are learning about The Great Fire of London so we have made Tudor houses. 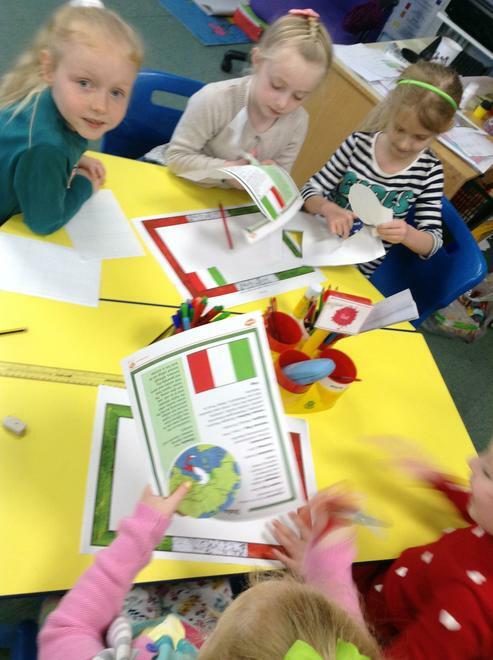 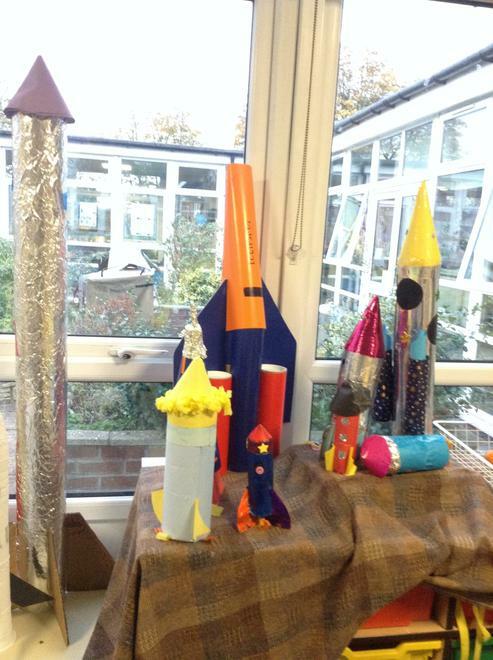 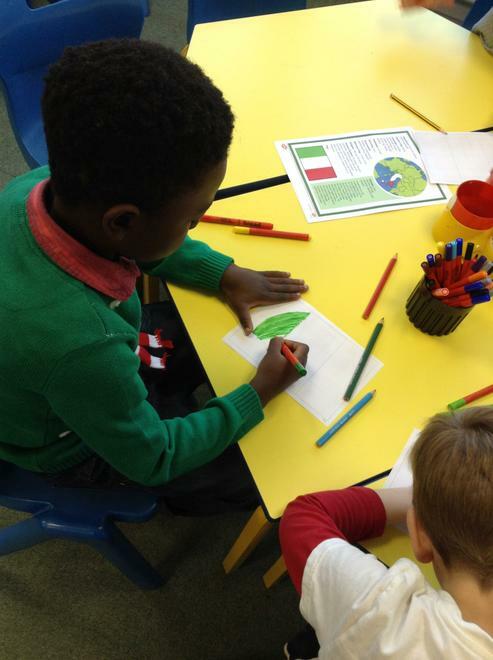 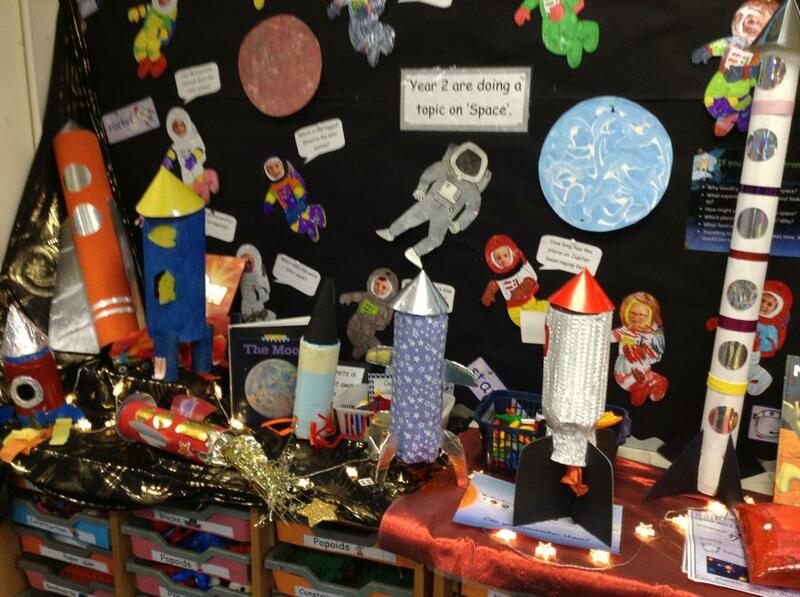 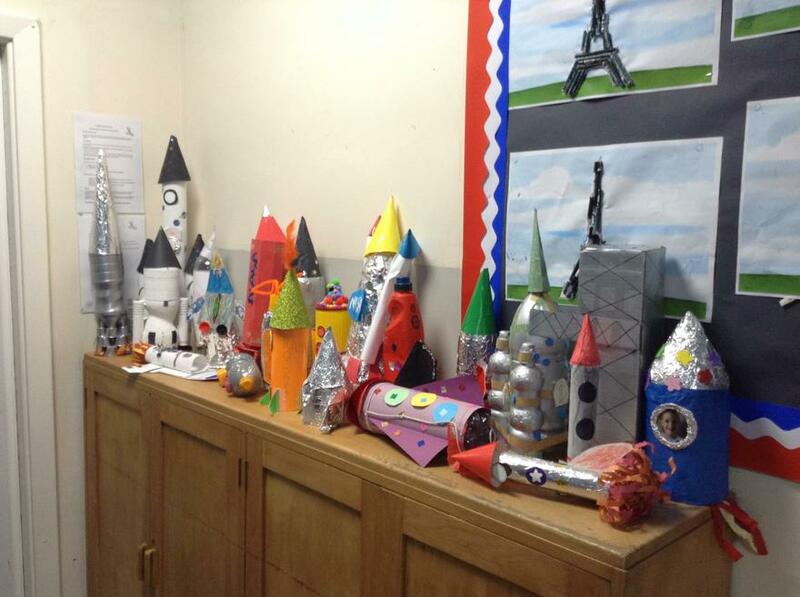 Our amazing rocket homework projects! 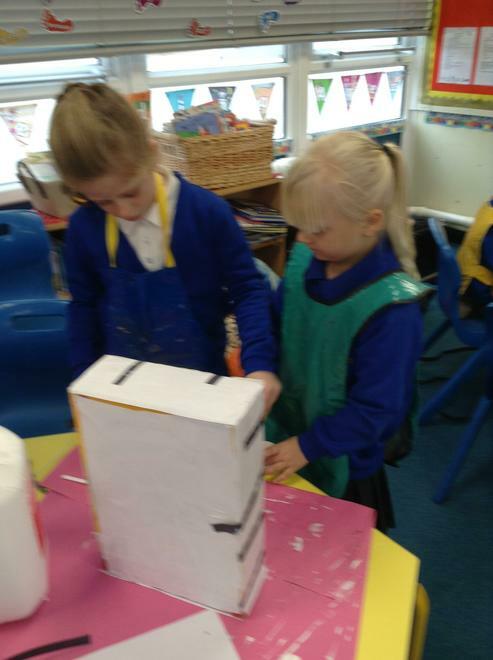 We found an alien space ship on our playground! 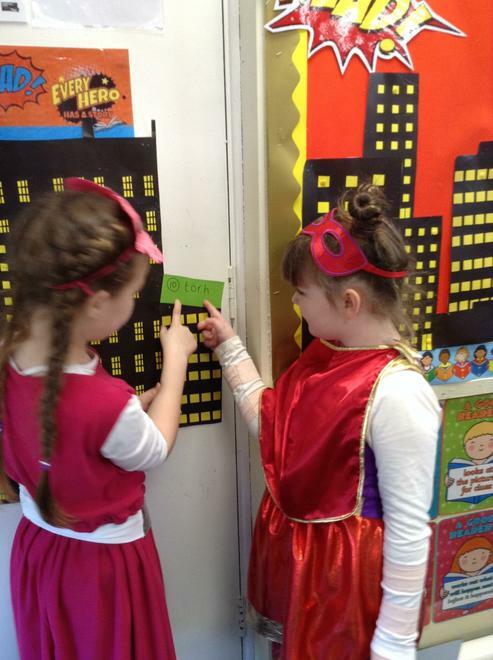 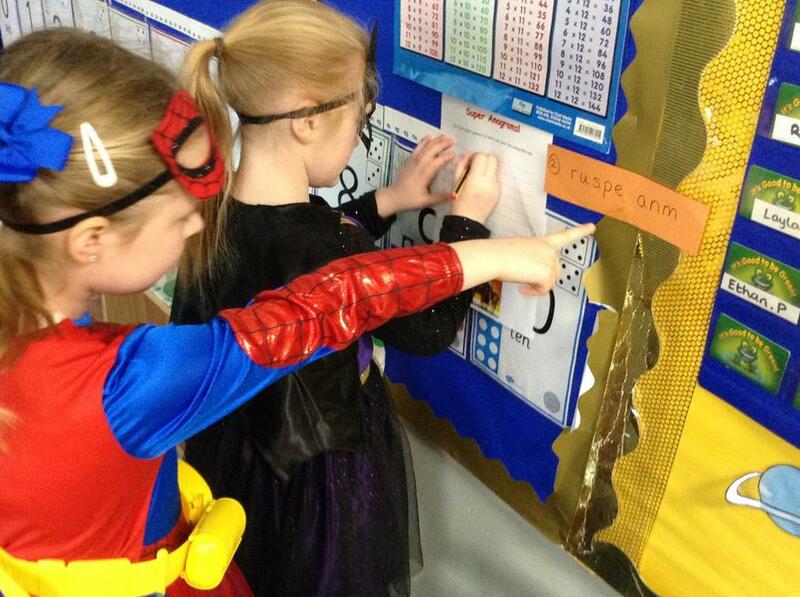 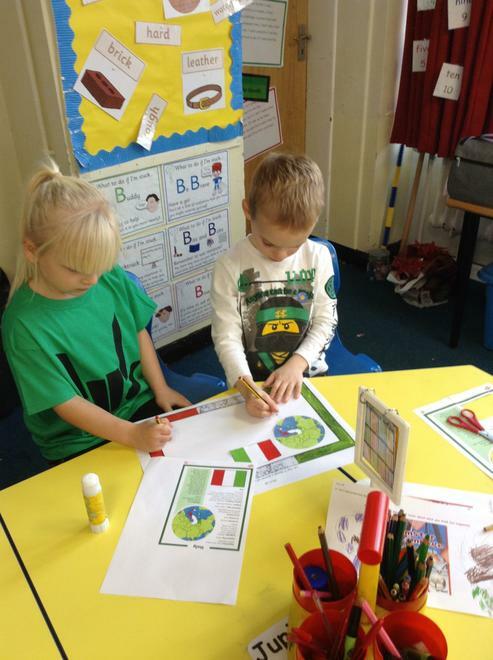 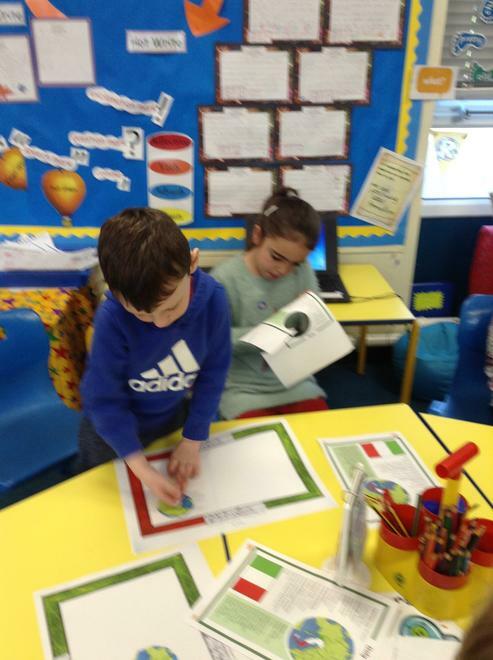 We looked for clues to find out who it was.